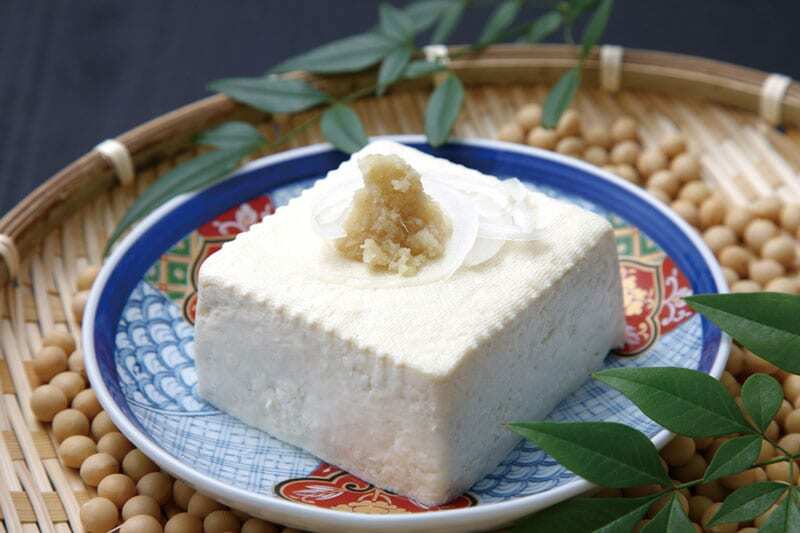 Long a healthy staple in Japanese cuisine, bean curd is tasty and nutritious, even for meat eaters! Touted as a super food that is as rich in nutrients as it is in history, tofu, or bean curd, is a fantastic ingredient used in all styles of Japanese cooking. 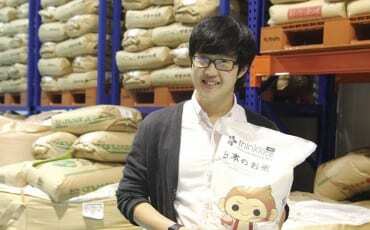 Made from soya beans, tofu is low in fat and packed with protein, amino acids, iron, calcium and other nutrients. As a healthy alternative to meat, it is favoured by vegetarians, who would otherwise not get enough protein from excluding meat and fish. Medical studies also suggest that eating soya-based foods benefits heart health and weight loss as well as prevents certain cancers. Introduced to Japan from China over a thousand years ago, tofu is made by coagulating soya milk and pressing the curds into blocks. Soya beans are soaked, then cooked. 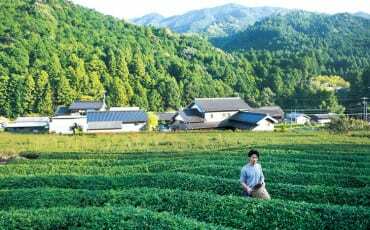 The residue (okara) is separated from the soya milk (tonyu), which is then solidified with a sea brine coagulant called nigari. Different types of tofu are made by varying the amount of water drained from the tonyu. Today, if you visit Japan, you will notice small shops selling fresh tofu using this centuries-old technique. Yes, in Japan, bean curd is often used and eaten on the day it is made—a small, everyday luxury! This is peak tofu—freshly made and smooth with just a hint of sweetness. While we may not be able to enjoy Japanese tofu in its fresh form in Singapore, it can still be found in packs at premium supermarkets. There are many different varieties and levels of firmness, but Japanese tofu tends to be softer, whiter and more delicately flavoured than the Chinese version that many of us are familiar with. An opened pack of tofu will stay good in the refrigerator for two to three days. In the kitchen, Japanese tofu is a wonderfully versatile ingredient that can be used in everything from soups to fried dishes. One big tip: Although tofu has a delicate taste on its own, it is also able to absorb flavours very well, so go ahead and use it in marinades and sauces. Japan also enjoys several varieties of tofu that do not exist anywhere else. Let’s take a closer look at some of them, namely ganmodoki, yuba and koya dofu.